Time to bring Ganpati at our abode is nearing. Yes, you heard it right Ganesh utsav is approaching next week and i am head over heels. Ganesh utsav is commencing from 13th September 2018. 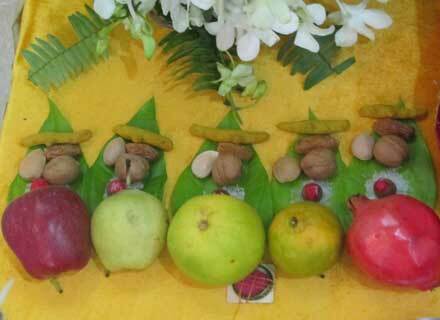 This festival is celebrated with much gaiety. 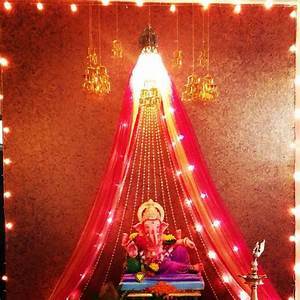 Are you planning to bring idol at home this Ganpati, then this is for you? Muhrat: If you plan to bring idol on 12th september then Shubh time is between 11:03 to 12:35 pm and labh time is 17:09 to 18:40pm.If you wish to do on 13th sept 2018 then morning time 6:29 to 8:00 am is perfect.After that Ganesh Staphna can be done during Madhyanhana as Lord Ganesh was born during that time ie: 14:06 to 15:37pm. Idol: Most important is to bring eco friendly Ganpati so that during immersion in water they get easily dissolved and do not pollute water.The one made with plaster of paris are harmful for environment. 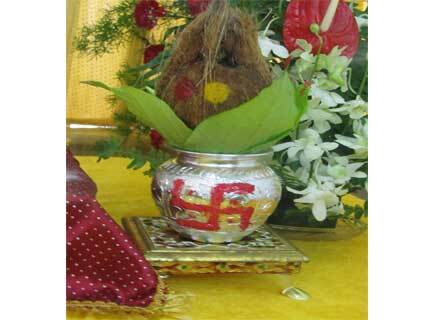 Mandal Decoration: The idol which you bring at home should be kept in proper hygienic area. 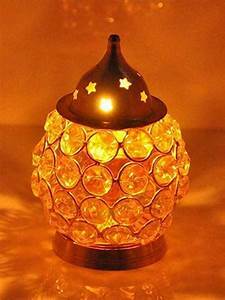 There should be ample of light.The pandal which you make should be simple ,clean. You can choose eco friendly decoration, floral decorations ,lots of lights and several different ideas which you will love. Treat him as your guest and bestow all love and attention on him. Pooja Samagiri: Things which you need are red cloth on which staphana of idol will be done.The below mentioned things like paan leaves,fruits and dry fruits.Offer Him the shringar in form of the Mukut, Mala/Maitri, Bracelets, Vastra For Murti. 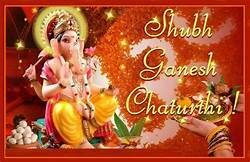 Put a garland of fresh flowers over Ganpati Bappa .Then you will need haldi, pinjar, abhil, gulal, ashtagandh and sindhoor to worship him. You would need red thread, diyas and incense sticks.You would also need combination of 21 dhurva, modak, flowers, camphor tablets, rice,akhand diyaand coconot,Kalash.With mantras you can commence puja. 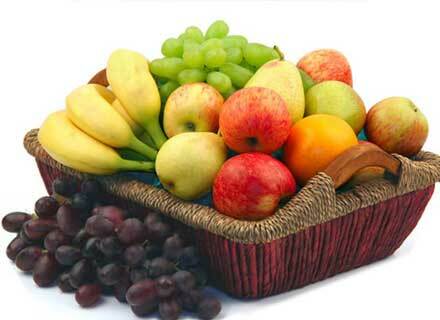 Prasad: The most important is you need to feed him with his favourite sweet ie. 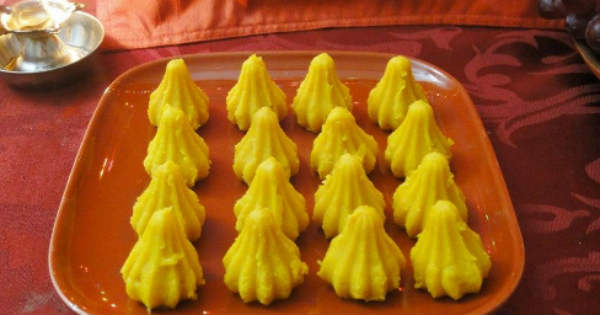 Modak. Welcome: After that you have to welcome Ganpati at your place and chant mantras and perform aarti. Time span:As per your devotion and commitment you can bring home murtis (Idols) of Lord Ganesha for a day and a half, 3 days, 5 days, 7 days or 11 days .For how many days you decide Lord Ganesha should be devoted with morning and evening arti. You have to feed with prasad everyday so you have to cook different delicacies and feed him first. Avoid use of garlic and onion. Treat him as your guest and make him feel the best at your home.Share and distribute prasad with your friends and relatives. Treat Ganpati with your love , dedication, prayers and devotion. There is nothing strict in ritual you can always moderate them. The benevolence and reverence is what Ganeshji looks for. During the visarjan its your responsibility that idol gets immersed and dissolved properly. If possible try to do visarjan of eco frindly ganpati in small ponds or tubs. Chant mantras and enjoy the festival with much fervour. Sounds like a lovely celebration. I like the way you include information about the festival along with the instructions for the idol. A wonderful celebration for sure. Loved all of your photos. thanks!